Treefrog provides a standard set of colours with your website that fit the design and layout you've chosen with our designers. But have you ever wanted to add a different colour to your site to make something stand out or add some emphasis? This is where hexadecimal colours come in. 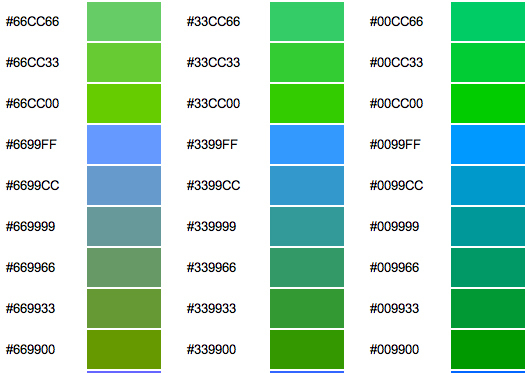 Hexadecimal is the numerical/alpha value for a specific colour on the web. It's a 6 digit code that will render the specific colour you're looking to show on your website. You can use the FONT SYTLES module to add in new style or some of our more advanced users just put in a bit of code to generate their required affect. If you're using Firefox for your chosen browser to view the internet there's a great extension called Colorzilla, you can download that extension here, which will provide you an eye dropper to choose a colour off any website you're viewing at the time. Great tool! More resources on the way, keep checking back.